Hershey's Azalea Farm is one of the few nurseries which still grow all their plants in the ground instead of in pots. This is a great benefit to the plants because it prevents them from becoming pot-bound. Azaleas and Rhododendron naturally form a wide and shallow root system. When they are grown in pots they are forced to grow down and their roots turn inward away from the sides of the pot. When they are removed from their pot it's quite evident that the root ball has become a compressed mat. 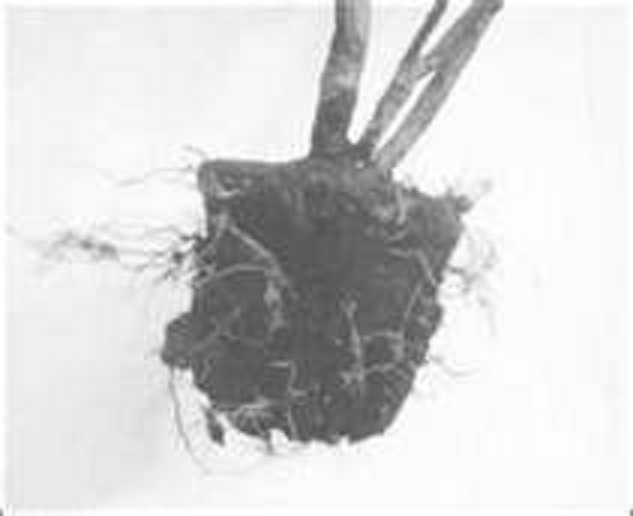 Many growers recommend slicing the root ball to try to open it up but that just does more damage to the roots. It is very difficult to get the roots of a pot-bound azalea or Rhododendron to grow out of that shape. They may struggle for several years to survive but eventually they die and the disappointed gardener is shocked to discover that the root of the dead plant is still in that pot shape. When you buy azaleas at Hershey's we pack them in cardboard boxes. They can remain out of the ground for several days if you set them in a shady spot and water them lightly.